I love this publicity photo for the 1936 movie Ceiling Zero! There's no way you'd see a group of actors posing this way, at least unironically, today. They pull it off though. 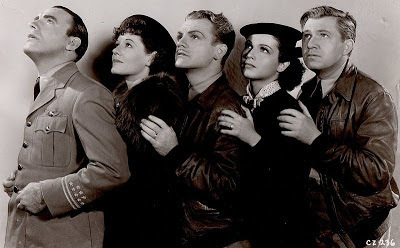 From left to right: Pat O'Brien, Martha Tibbetts, James Cagney, June Travis &Stuart Erwin.